Tucked away in the heart of leafy Surrey, the gardens at RHS Wisley are bursting with autumn colour. 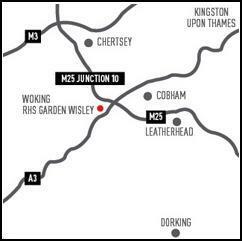 As the main site for the Royal Horticultural Society, Wisley estate stretches for 240 acres and every inch is covered with a huge range of flowers, trees and plants. For this month?s Masterclass, Clive and three readers spent the day homing in on tiny details and tuning their eyes into minute changes in light, searching for interesting textures, patterns and shapes to incorporate into their images. RHS Garden Wisley, Woking, Surrey GU23 6Q. Tel: 0845 260 9000. Website: www.rhs.org.uk/gardens/wisley. The flagship garden of the Royal Horticultural Society was gifted to the society in 1903, and since then it has become one of the leading horticultural societies in Britain. 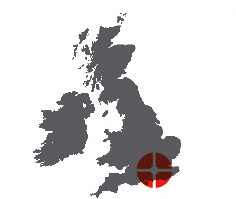 Monday-Friday 10am-4.30pm, Saturday-Sunday 9am-4.30am. Last admission one hour before closing. There is no end of subjects to choose from at Wisley. With its richly planted borders, luscious rose gardens and state-of-the-art new Glasshouse showcasing a world-class plant collection, Wisley is a prime destination for photographers with a passion for garden photography. Learning to ?see? texture and pattern in a horticultural setting is a skill that can be learned and practised, and Clive was on hand to offer his advice to the readers about how to train their eye to spot potential subjects advising on all aspects of composition, framing, lens choice, obtaining a correct exposure, focusing and more. ?Photographing textures and patterns in gardens can lead to many exciting and unexpected images,? says Clive. ?With a macro lens it is possible to get close to subjects, showing off their texture and pattern to great effect, but you don?t have to shoot with a macro lens exclusively. Once you have spotted a photogenic pattern or texture, the skill is to use the right lens and lighting to capture it creatively in a photograph. Quite often a macro lens is the right choice, but if the subject is difficult to reach a telephoto lens may be better to obtain the composition you?re after.? The readers brought their own cameras, lenses and tripods with them, and after a short briefing session set off in search of eye-catching subjects to photograph. ?Start looking closely at what is around you and decide what would make an impacting composition,? says Clive. ?Interlocking shapes work well and by cropping in tightly you can fill the frame with graphic patterns. You are aiming to convey a sense of what that subject would be like to touch, visually.? Clive is one of the UK’s most respected garden photographers. With more than 20 years’ experience, Clive’s images have been published in numerous books, calendars and magazines. As well as being one of AP’s Photo Insight experts, Clive runs regular workshops for the Royal Horticultural Society and is a judge for the International Garden Photographer of the Year competition. For more information visit www.clivenichols.com. Contrast is an important compositional device in photography in general, but when it comes to taking close-up photographs of plants it can be particularly effective. 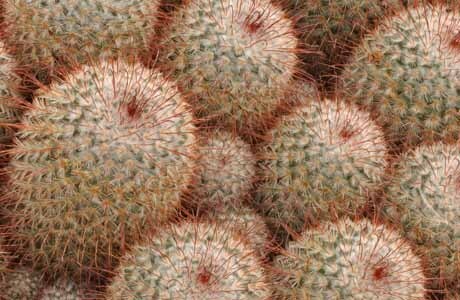 There are numerous contrasting pairings, such as ?soft and rough?, ?spiky and smooth?, ?light and dark? to name a few of the most obvious ones, so think about how you can use contrasts effectively when balancing subjects in the frame. For example, in his image above, Toby contrasts wispy plant tips with smooth background leaves, while John in his image weaves vertical and horizontal strips of bark into an artistic, latticed frame. 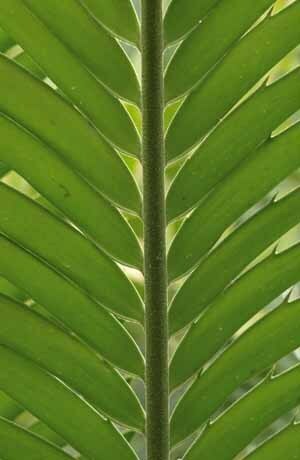 ?You want to maximise the potential of a plant?s shapes and patterns,? says Clive. ?Try to lead the eye through your image by including a textured foreground, as John has done. This will also give your image a sense of depth. Think, too, about how you can combine areas of light and shadow to accentuate rugged or smooth surfaces.? Filling the frame with repeated shapes is a simple way of creating a composition with impact. Clive encouraged the readers to look carefully at how they could combine similar-shaped leaves to create neat, graphic images. In his image below, Toby photographs his subject straight on and crops the scene so the leaves are tightly compacted in the frame. 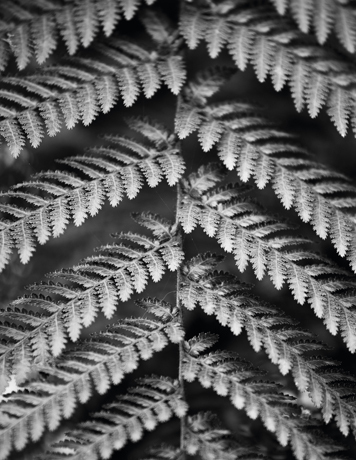 By doing this, he removes the plant from its context and creates an image that is abstract, challenging expectations of what a traditional plant photograph should look like. Here, symmetry is key and precision is everything. Standard compositional advice suggests placing the subject on a third, but in an image like this, dividing the subject straight down the middle is the only way to make this image work visually. ?What you leave out is just as important as what you include in the frame,? says Clive. ?Try filling the frame from edge to edge and pulling back from your subject, shooting slightly wider to show interlocking shapes. You may be able to create interesting geometrical patterns.? If your background is visible, as is the case in John?s image (top), make sure it does not clash with or take attention away from your main subject. Here, John has given careful consideration to the colour of his background, which complements rather than competes with the orange spikes. Clive also suggested that the readers try shooting directly down onto the plant or flower and to vary their shooting angle by shooting across the subject. ?Using a low angle can throw the subject into relief,? he says. 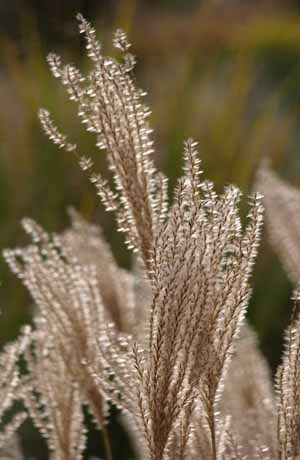 ?Raking light across the plant?s surface can create a three-dimensional effect, so think about the interplay of light and subject.? If it is raining, there are still many things you can photograph inside at Wisley or indeed any horticultural garden. Wisley has a fantastic tropical Glasshouse with a huge array of plants and tress. ?The cathedral-like glass structure covers an area equal in size to ten tennis courts and rises to 12m [40ft] in height,? says Clive. ?There are three interlinked zones: a dry temperate area; a moist temperate area (adjacent spaces within the main area of the glasshouse); and a tropical zone overlooking the lake at the front. You can find plenty of subjects to shoot here with the added advantage that wind will not be a problem inside.? On entering the jungle-like Glasshouse, visitors are confronted with tree ferns, tall palms, lush-leaved creepers and dazzling flower displays, offering multiple compositional opportunities. Even though the light was fine on the day, there was a considerable breeze so the readers spent a fair amount of time in the Glasshouse where they could photograph out of the wind. On a windy day a fast shutter speed is necessary to freeze movement, but you could try using a deliberately slow shutter speed to create a more abstract image. At Wisley, the Seven Acres area where grasses and reeds grow proved a fantastic location for a host of creative shots based on slow shutter speeds. In the above image, stopping down to f/32 and using ISO 100 gives a shutter speed of 1/5sec, which creates an atmospheric, unusual blurred image. ?Think about the mood you are trying to create in your image and adapt your camera settings to suit,? says Clive. ?Do you want to create a more romantic, ephemeral image or a slick, precise and more formally structured shot? For the former you may choose to blur your subject by using a slow shutter speed, but you may prefer to retain definition so a faster shutter speed is needed. You could increase your ISO, which would give a faster shutter speed but watch out for increased noise.? When shooting, it is important to make a conscious decision about how you want to use depth of field in your image. You could use a shallow depth of field to direct the eye to a certain point in the frame or stop right down to get the subject pin-sharp throughout, so no one point is more important than another. ?If you are using a small aperture you will need to use a slower shutter speed and on a windy day this will capture motion blur,? says Clive, ?so bear this in mind when you are calculating your exposure.? Clive suggested the readers use aperture priority and focus their images manually to give them precise control over where they placed their point of focus. He also advised switching off the vibration reduction function on their lenses when using a tripod as this could cause camera shake. In his image above, Toby uses an aperture of f/5.6 to throw the background out of focus, but carefully focuses his lens to the right of the grasses, which becomes the main focus of the image ? the point that the eye is drawn to. Fortunately, the readers were blessed with ideal light ? soft and not too contrasty ? which was perfect for photographing plants up close. ?On a bright day you have to expose for the shadows or highlights,? says Clive. ?It?s more difficult to get a good exposure, so slightly overcast light is better.? Clive showed the readers how to make the most of available light, suggesting they shoot in raw and adjust their white balance afterwards. He also suggested that they try backlighting their subjects. ?Another advantage of shooting towards the light is the faster shutter speed this will give you, which will freeze movement,? says Clive. ?Where the sun shines through, the cloud also helps to diffuse the light and creates a softer effect, so think carefully about where you position your subject in relation to the sun. Watch out for bright areas that could easily burn out and keep checking your histogram as a guide.? Stripping away the colour allows texture, line and form to play an even bigger role. An image with bold, dynamic textures and patterns is likely to be far more impacting in black & white than in colour. Subjects are simplified and this minimalist approach can lead to some beautiful compositions. Paula?s leaf image with its sleek curves (above) is a great example of how the absence of colour can enhance a composition. 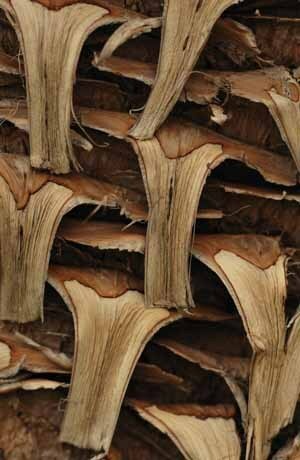 John also opts for a minimalist approach in his image of tree bark (below). 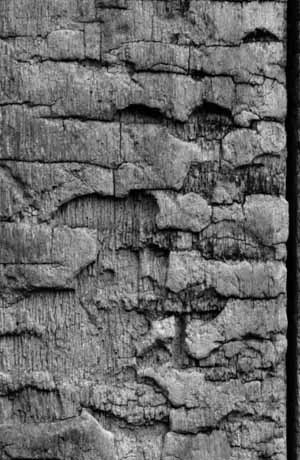 The textured surface of bark becomes even more noticeable when converted to black & white. Yet rather than converting to monochrome afterwards to ?rescue? a poor shot, try thinking in black & white while you are shooting. Mentally switch on your ?monochrome eye? and look for jagged leaves, smooth curves and prickly stems that don?t rely on colour for impact. 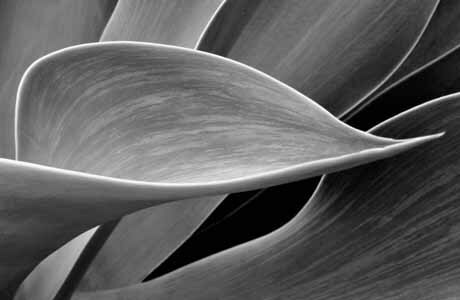 Choose subjects that are dramatic because of their shape and structure, and look closely at how shadows interplay with the surface of the plant. Whether your final image is in black & white or colour, one thing is for certain: keep things simple. When it comes to utilising texture and pattern, sometimes less really is more.